The villa is located in the central part of the village. Ponizovka in 500 m. From the sea on the southern coast of Crimea, near Yalta. The hotel offers comfortable accommodation in Economy, Studio, De Lux, Apartment, Lux. Guests can take advantage of the outdoor swimming pool with backlighting in the evening and heated water, tennis court. On the territory of the villa there is a restaurant with excellent European cuisine. Also there is an open parking. On the 1st floor of the villa there is a hall-hall, a large dining room, a kitchen equipped with everything necessary for cooking and serving guests, and utility rooms - a bedroom for the staff and a shower room, the 2nd floor begins with a rest area that goes into a spacious living room, and then - to the bedroom with a private bathroom. The third floor of the villa contains a dining room intended for both food and relaxation, a large living room with a home theater, a bedroom and a comfortable bathroom, which also houses a sauna. On the 4th floor there are 2 separate bedrooms, a children's room, a brandy-cigar room hall and bathroom. Villa is rented by numbers, and also by necessity completely. Cost to clarify with the operator. On request, there is a gazebo for rest, barbecue grill and barbecue, sauna, and deck chairs for relaxing by the pool. Description of the room: The second floor starts with a rest area, which goes into a spacious living room with a fireplace, and then to the bedroom with a separate bathroom. 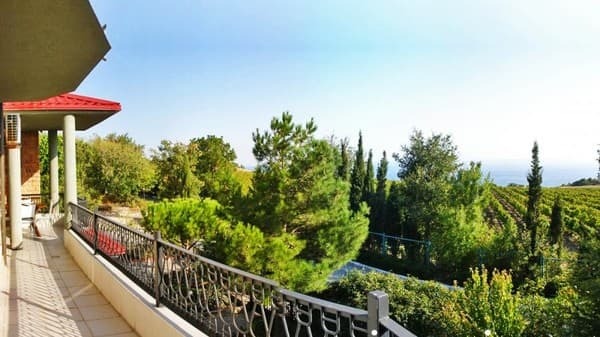 Each room has access to a large balcony overlooking the sea. For 3 -5 beds. At your service are a high level of service and hospitable staff. 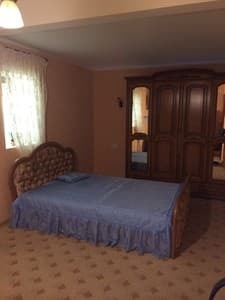 Room for 3 - 5 beds, 3 rooms on the 2 floor of the villa, with a fireplace room. 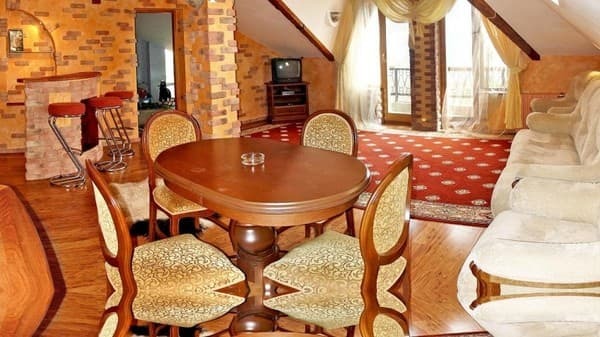 Description of the room: Ecom-studio without a sea view, for 5 seats, on the first floor of a 4-storey villa "Venus". On the southern coast of Crimea, near Yalta. Check arrival: from 12:00 - 13:00 hours. Check leaving: to 14:00 - 15:00 hours. If necessary, additional space is provided. 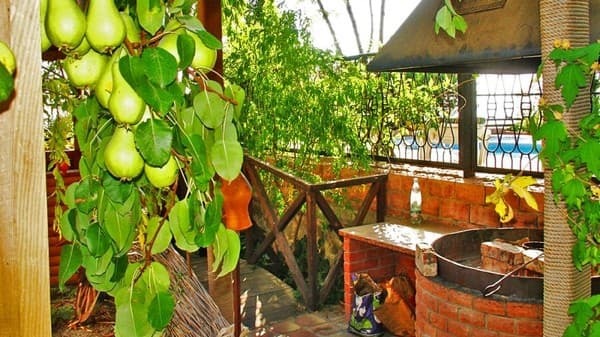 The villa is equipped with a kitchen equipped with all necessary equipment for self-cooking. For an additional fee, you can use the services of a full-time cook (provided that you purchase food by holidaymakers). The menu is agreed in advance. Payment depends on the complexity of the menu and the number of holidaymakers. Wishes for the children's menu are taken into account. Cuisine: European, Crimean, Ukrainian Menu: basic (A-la cart), buffet, children, corporate, boarding Offers: breakfast, lunch, dinner (set menu), wine list, cocktail card, hookah map. 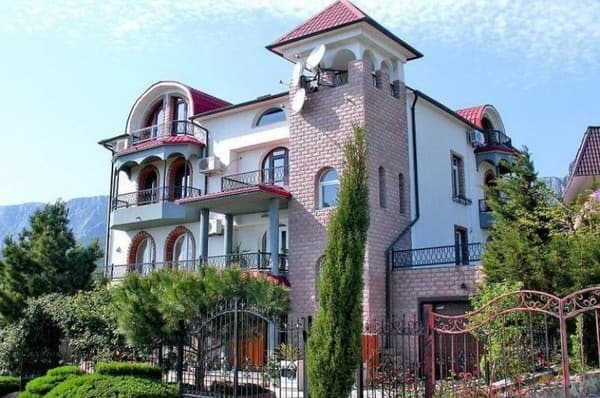 The villa is located on the southern coast of the Crimea, near Yalta. At a distance of 500 m from the villa there are two small pebble beaches: a resort furnished and wild. Passage to the beach goes along a shady avenue with stops on viewing platforms-gazebos overlooking the coast. The bus "Yalta - Sevastopol" and "Yalta - Foros" to the stop "Zori of Russia". A shuttle service is available on request at an additional cost.